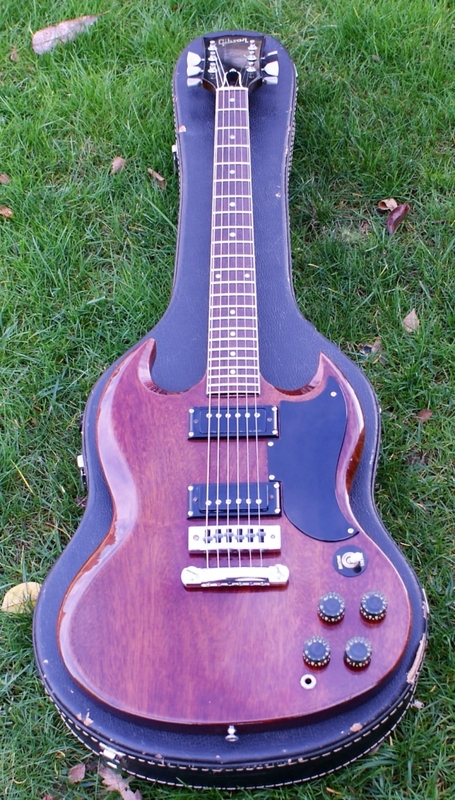 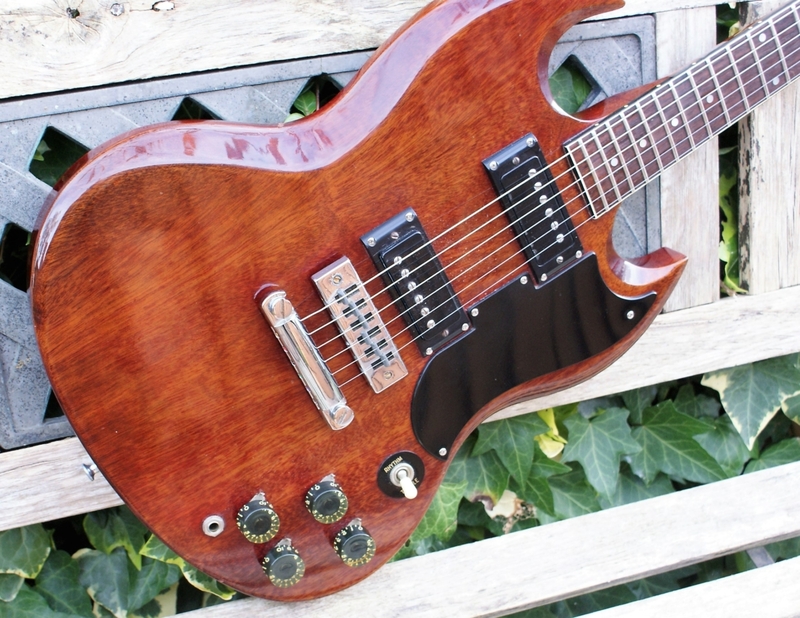 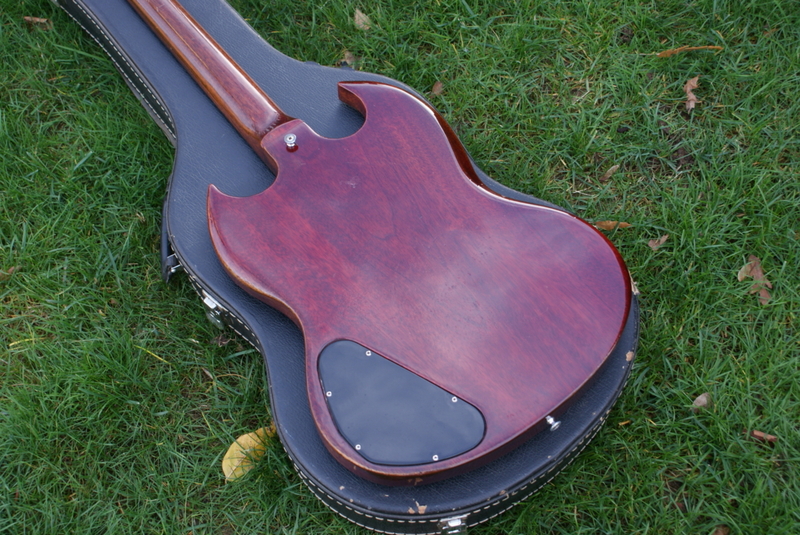 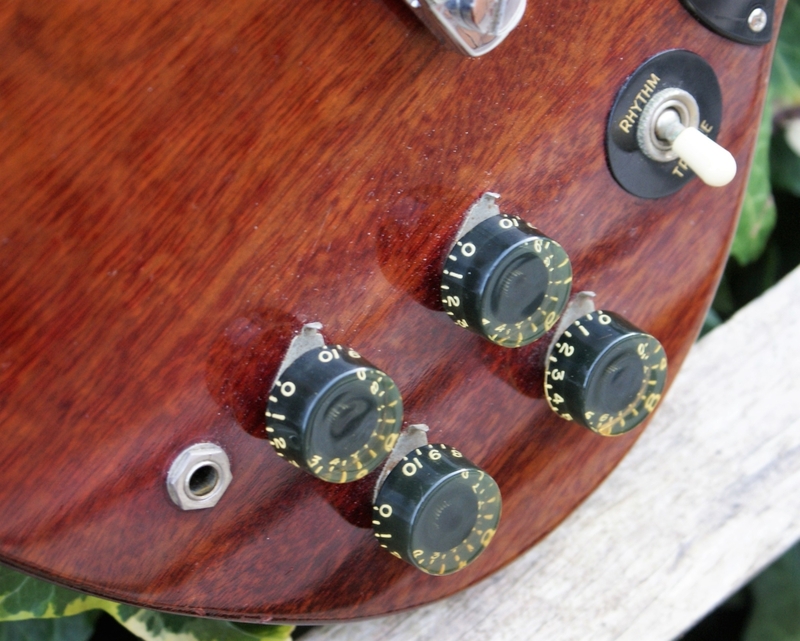 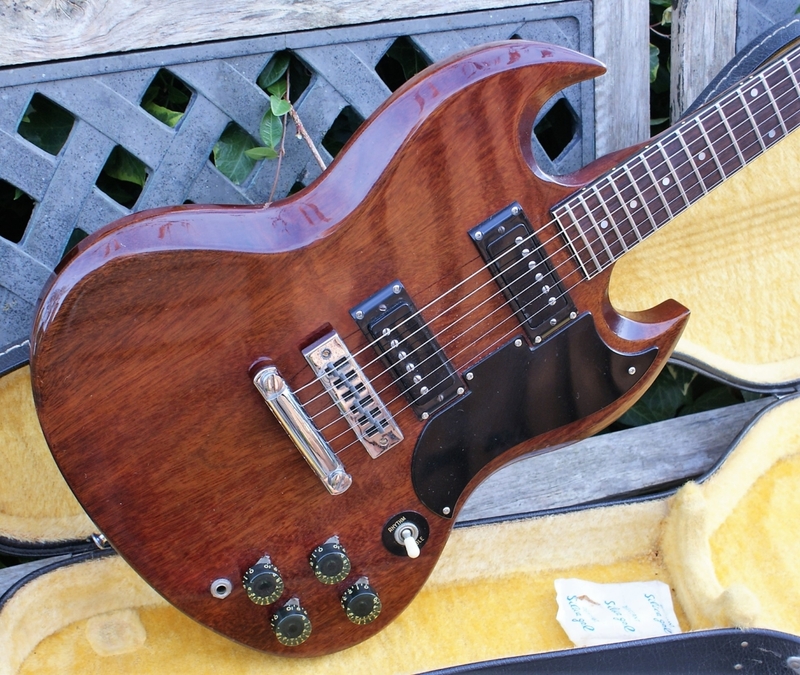 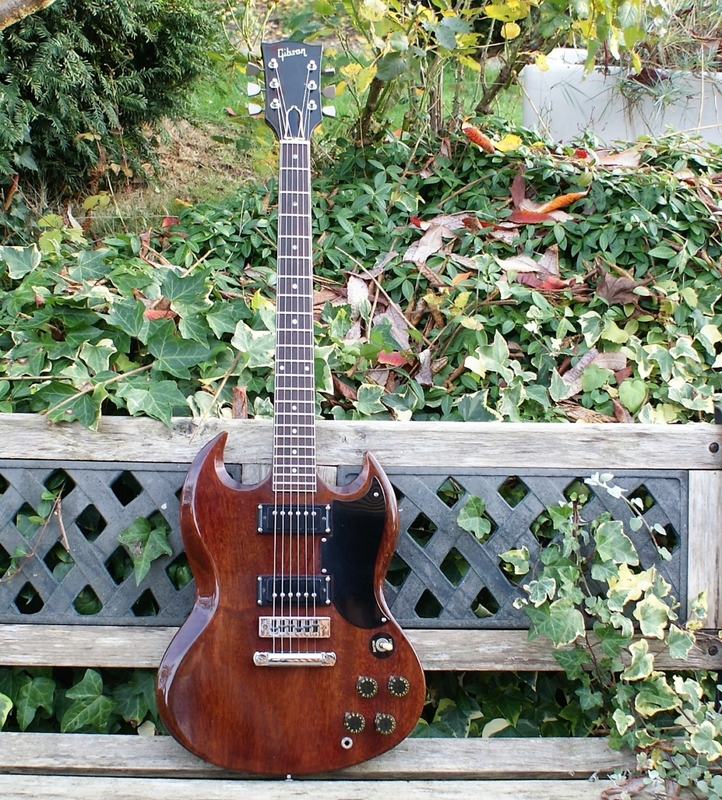 Here we have a super cool and 100% original 1973 Gibson SG Special in it’s original and now faded cherry finish. 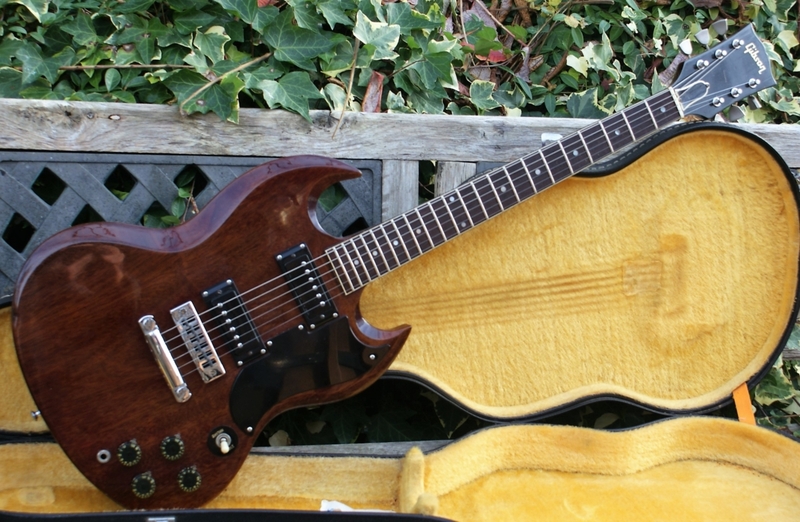 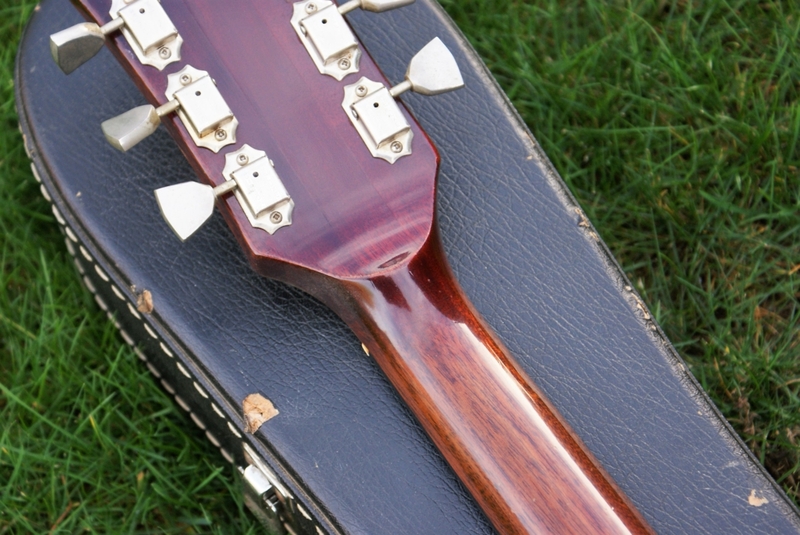 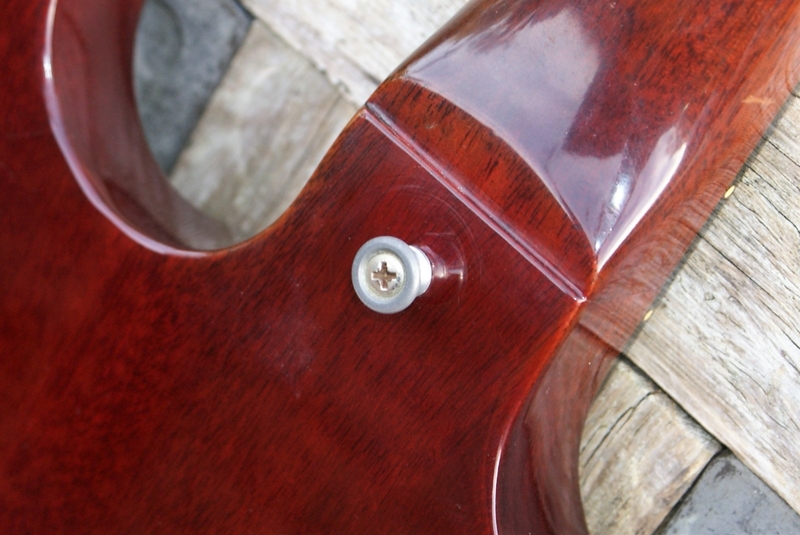 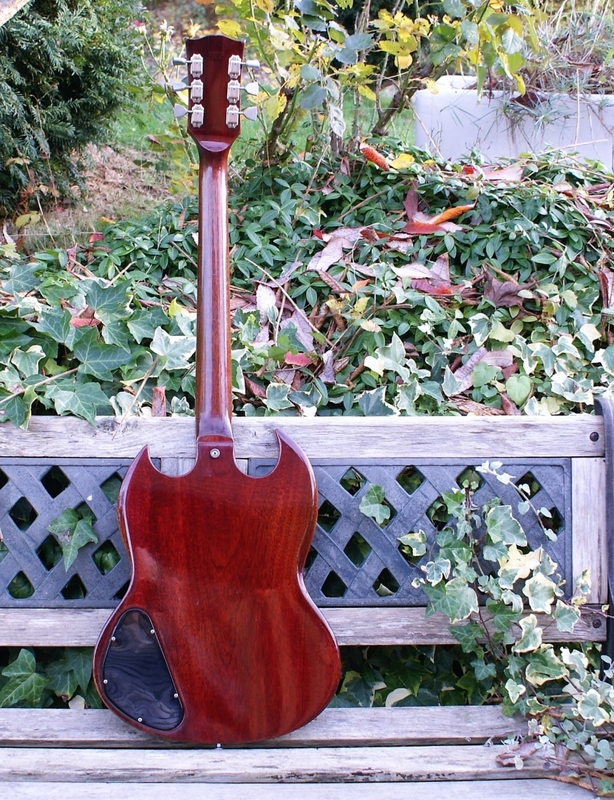 This beautiful example has an incredibly comfortable & typically slim 70’s volute neck, with an amazing action. 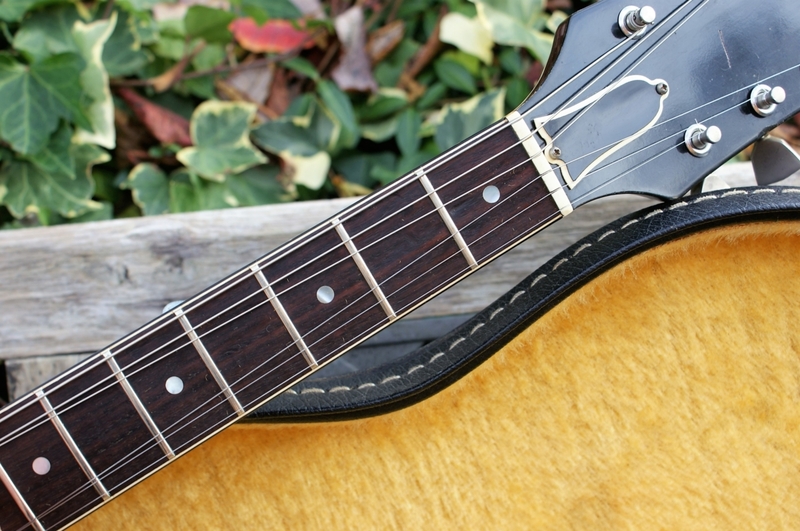 The width at the nut is 1.58″ (40mm) which makes for a super swift & slinky feel! 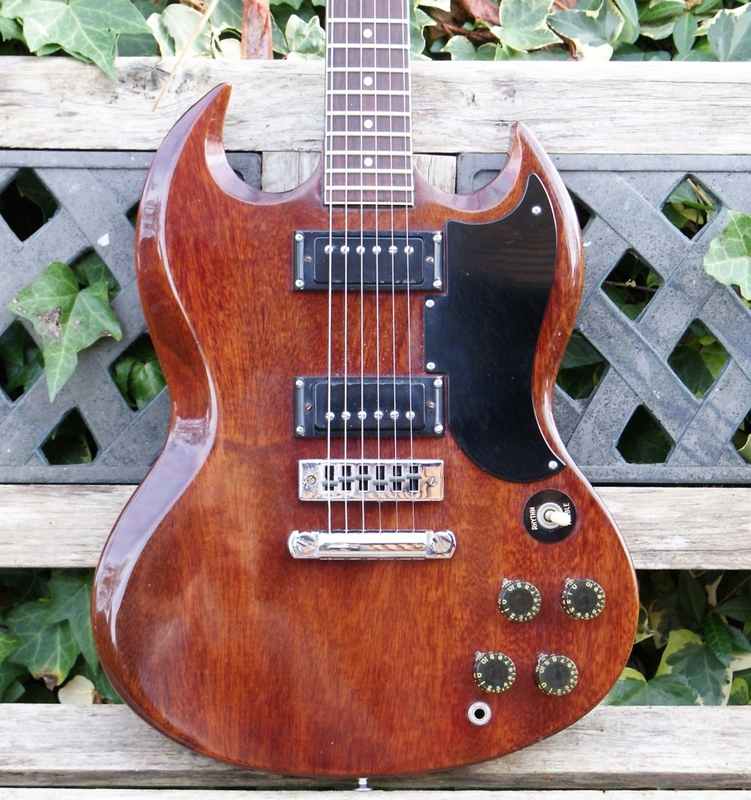 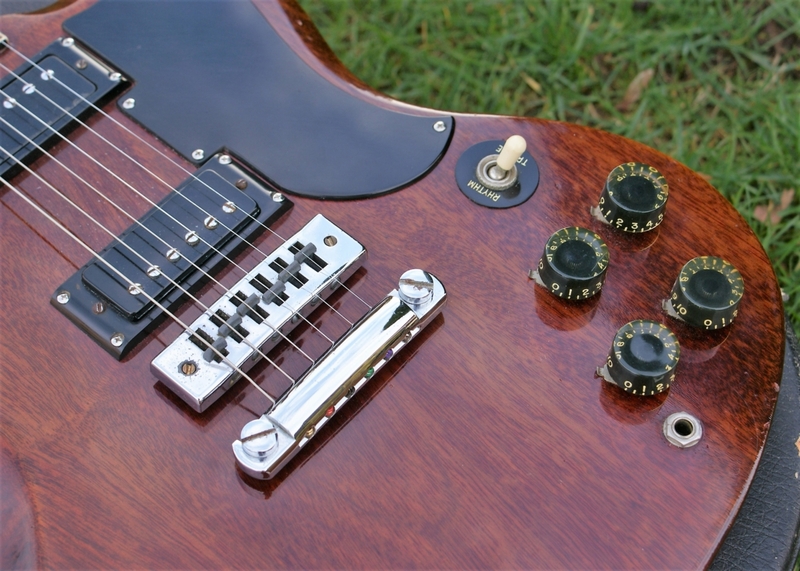 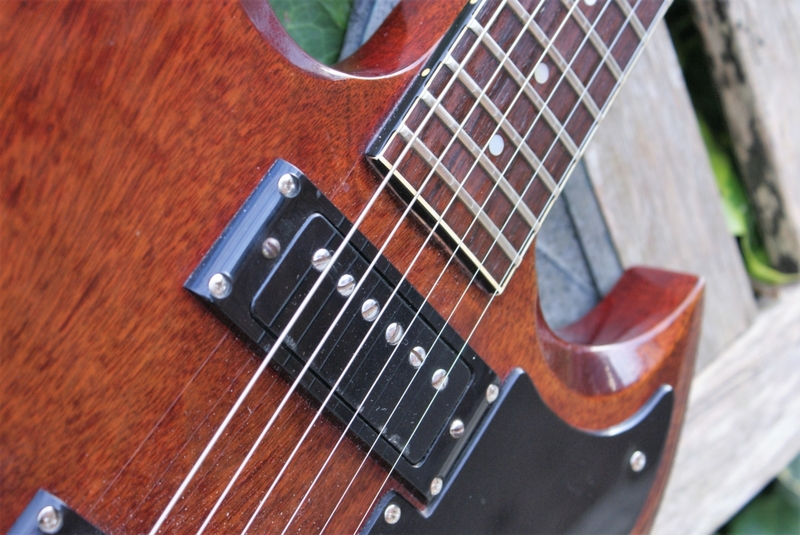 Fitted with her original great sounding mini humbuckers, she plays and sounds fantastic! 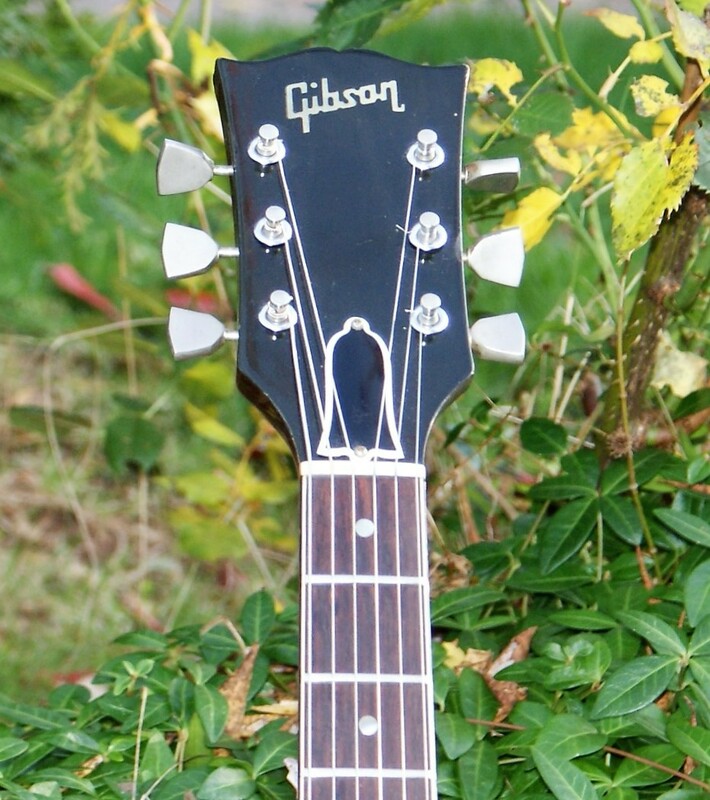 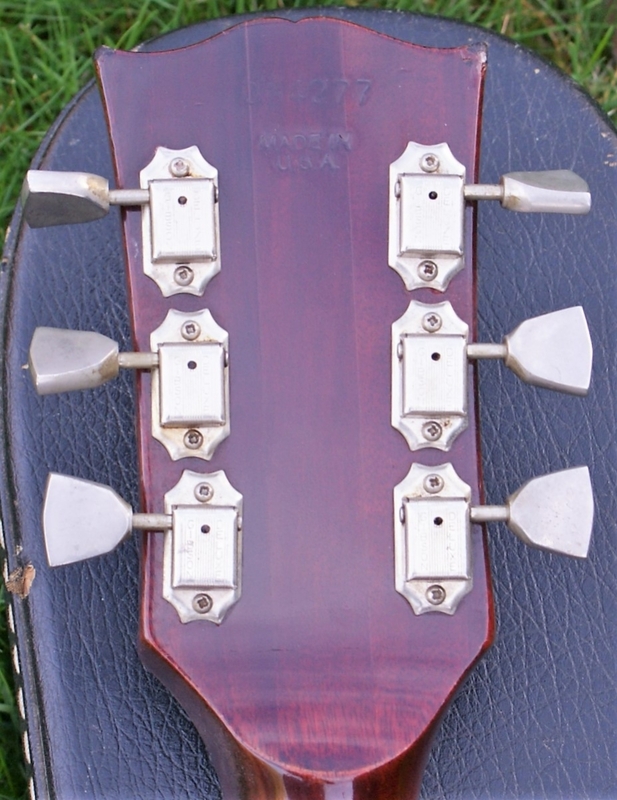 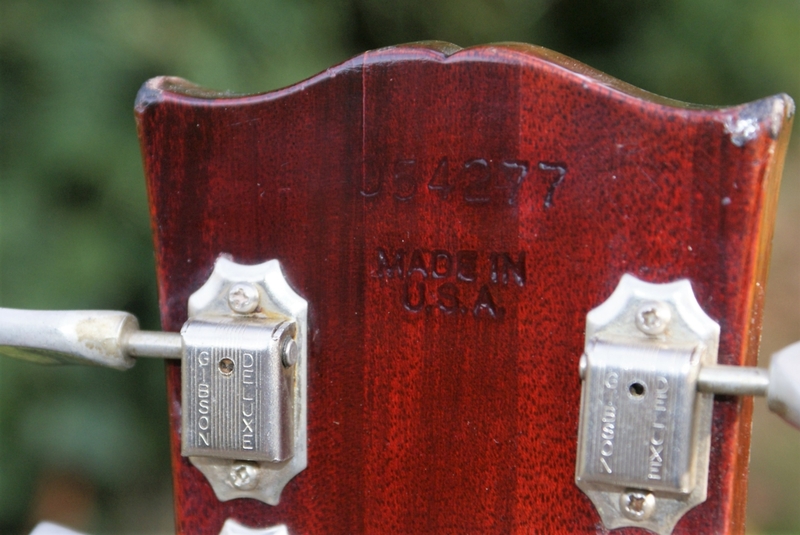 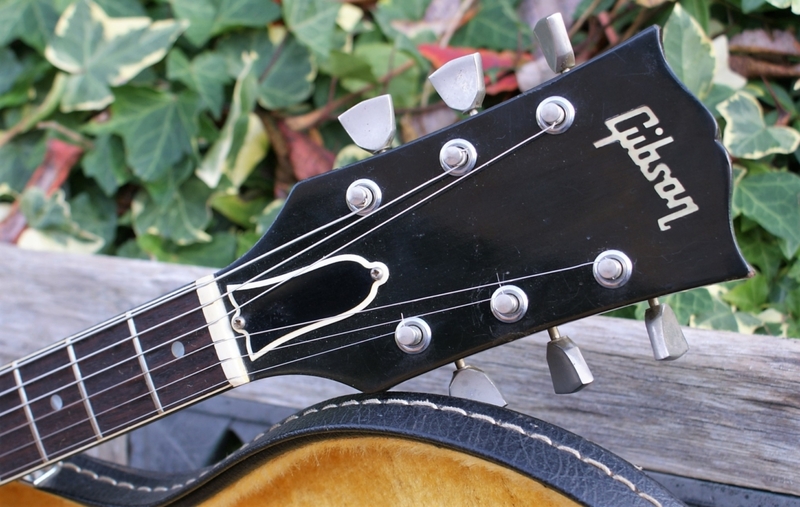 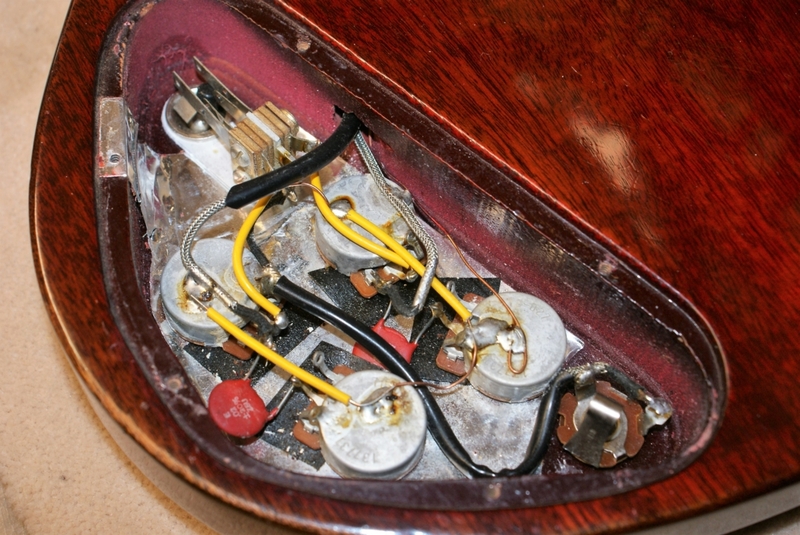 the frets are perfect & un-worn & her pots date to 1973. 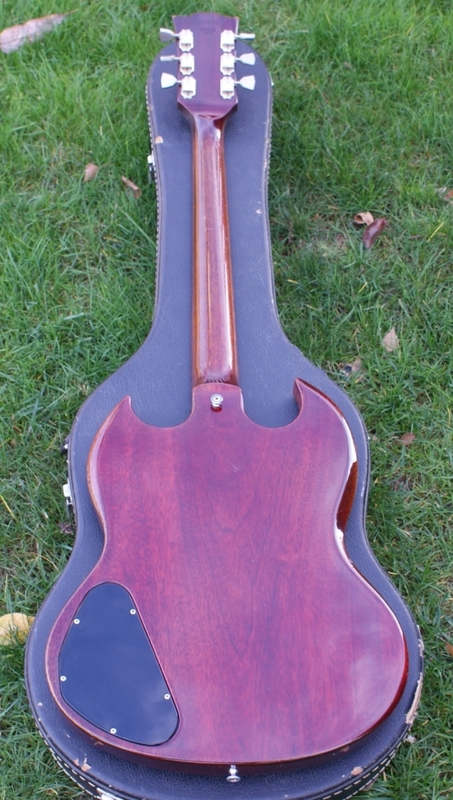 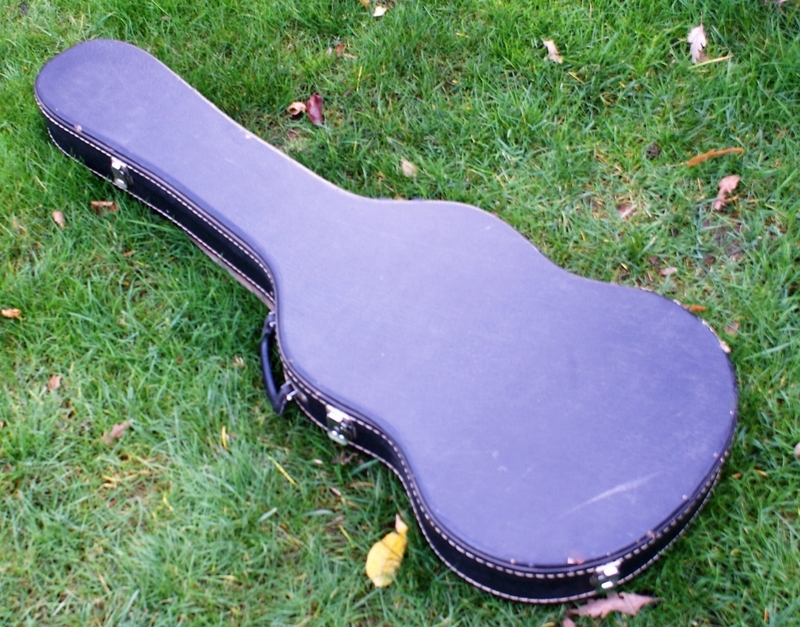 She comes with a none original, but same era hardshell case. 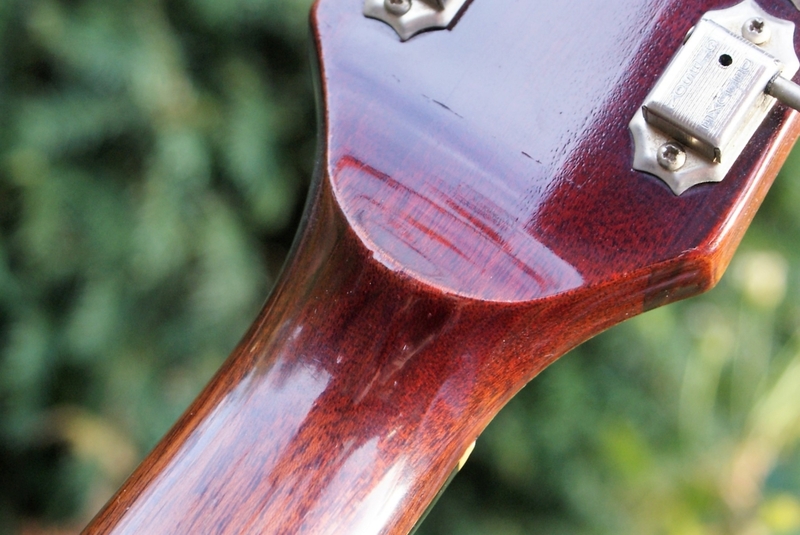 Her overall condition is absolutely excellent, no breaks or repairs & with very few bruises, as well as hardly any buckle rash. You would struggle finding a cleaner example of this age! 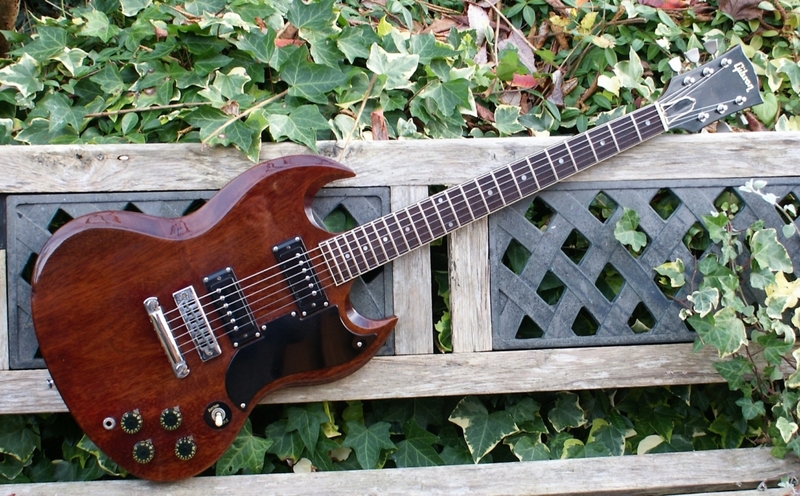 This is one of those guitars I have a real sad pang in selling, as my heart wants to keep her all for myself, but hopefully she will go to a good home!